Ingham’s media blasting service provides a means of preparing surfaces for refinishing by forcing solid particles across a surface at high speeds—similar to sandpaper, but with a more even finish and no rounded edges. Our process is similar to sand blasting, except we don’t actually use sand. 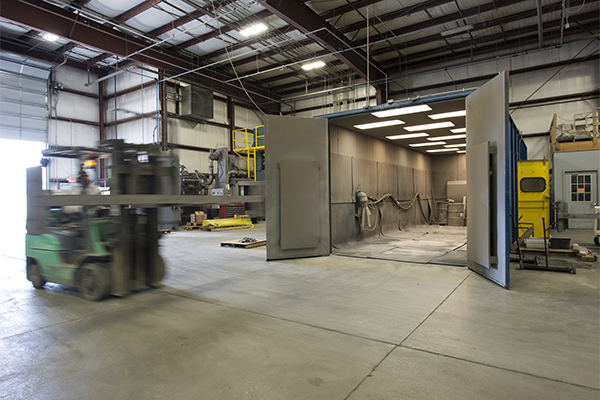 Our media blasting process is performed in a controlled environment and uses specific abrasives for specific applications. Media blasting cleans, removes paint and de-burrs metal, preparing for any of our powder coated finishes. We offer steel grit, steel shot, and aluminum oxide. We have three Blast Rooms that can accomodate items up to 12x12x30.